In today’s consumer-based market, you have two types of computer crowds: PC fanatics and Mac lovers. And while Apple has applied its Vulcan death grip on tech shoppers, the truth is not everyone is built to for its industry-leading products. 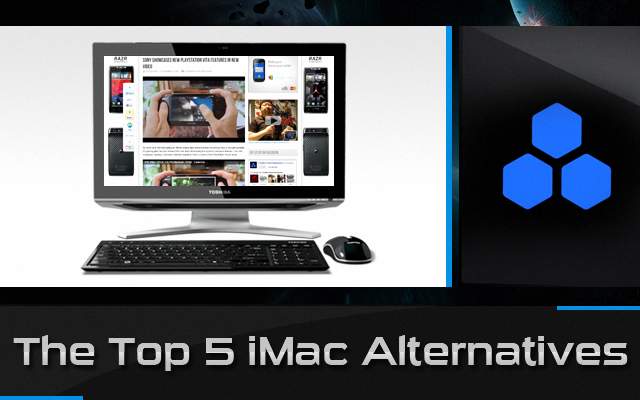 Take the all-in-one iMac for example. Expensively priced, yet laced with some of the best hardware out there, the Cupertino Clan has made it difficult for both PC manufacturers and buyers to find a top-of-the-line AIO to satisfy their facile or financial needs. Fortunately, we gathered the research to appease your Black Friday demands. So whether your working with rabbit ears or high rolling this holiday season, think different and explore your options with the 5 Best iMac Alternatives For Holiday ’11. Built for media and gaming enthusiasts alike, the new IdeaCentre fits the bill as one of the top AIO choices—powered by a Intel Core i7-2600 chip that clocks in at 3.4Ghz and backed by 8GB of DDR3 RAM. Your gaming experience is elevated to new heights thanks to the pre-installed NVIDIA GeForce GT 555M graphics card, which can generate close to 50 frames per sec and comes equipped with two HDMI ports. The 2TB of memory storage is more than enough to store your media library, plus the 23-inch, 3D-ready multi-touch screen spurts out stunning 1080p high-def graphics. Levono’s offering is no joke. Sony’s beauty brandishes a sharp 24-inch touchscreen and monstrous 2GHz Core i7-2630QM processor with special performance traits that boost it to 2.9GHz if need be for any program and game. Skyrim anyone? All high-powered benchmarks gain a huge boost form the desktop’s 8GB of DDR3-677 memory. An interesting addition to the AIO is the black bezel surrounding the display, which serves as a navigation tool to launch apps and perform functions. Pretty dope. The L218FX delivers loud, translucent sound as well. Granted it’s one of the pricier models out there, Sony’s high-end selection is money well spent. Even though Toshiba’s been out of the desktop game for quite some time, the Tokyo-based electronics brand has returned and welcomes one of the more impressive AIO’s on the market. The sharp 21.5-inch display stands toe-to-toe with Sony’s VAIO series, producing sharp output at 1920 x 1080-pixel resolution and loud bass via built-in speakers. On the hardware, you’re working with the second-gen Intel i5-2510M processor that supports built-in Intel HD graphics, along with a 1TB HD, 4G of RAM, and built-in Wi-Fi and Bluetooth. 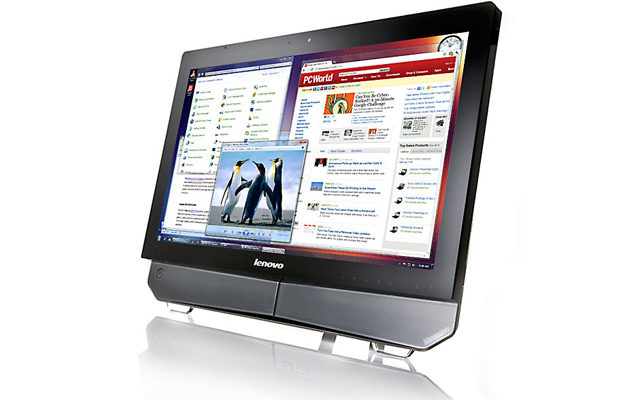 Overall, the DX1215 is a sleek piece of hardware that produces top-notch touchscreen and solid performance stats. 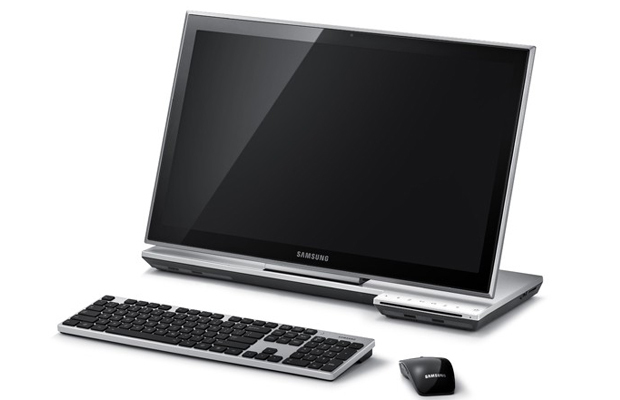 Samsung’s first AIO desktop in the US embodies the beautiful stylings of its Series 7 laptop counterpart, while presenting an accessible touch interface with usability features that make for easy-to-use touchscreen interaction. The screen is capable of detecting two touch-sensitve points simultaneously and initiates positive feedback, plus it can fold back at 90 degrees to create a wall-mount design that resembles a humongous tablet. Users can customize their Series 7 with a 2.6GHz Core i3-2120T CPU (6GB of RAM) or 2.7GHz Core i5-2390T processor (8GB of memory), and store tons of files on its 1TB internal hard drive. 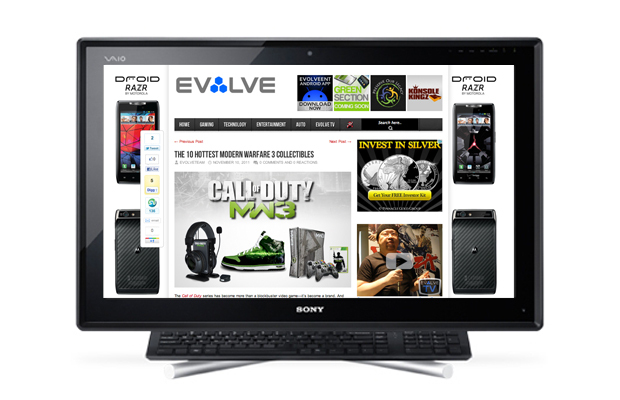 Either model is suited to your multimedia cravings. Budget-breakers seeking a dynamic PC at a recession-proof price can thank HP for the Omni 120-1024. Sure, for the price value, you’re thinking why not invest in an iPad, right? Truth is you’ll need a device with bigger hard drive space and more output selections. 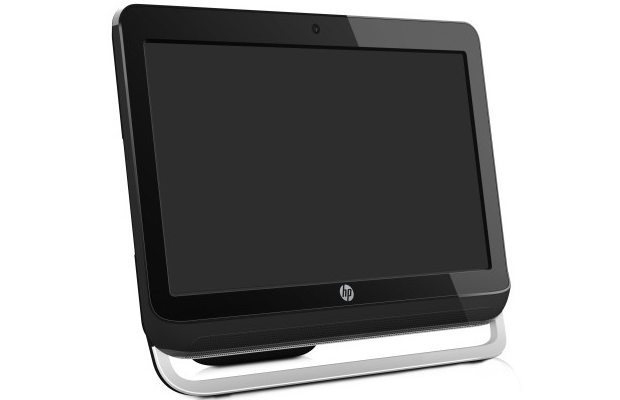 In this case, HP’s desktop carries six USB 2.0 jacks, two analog audio jacks, Ethernet port, analog audio output, and best of all, SD card slot. 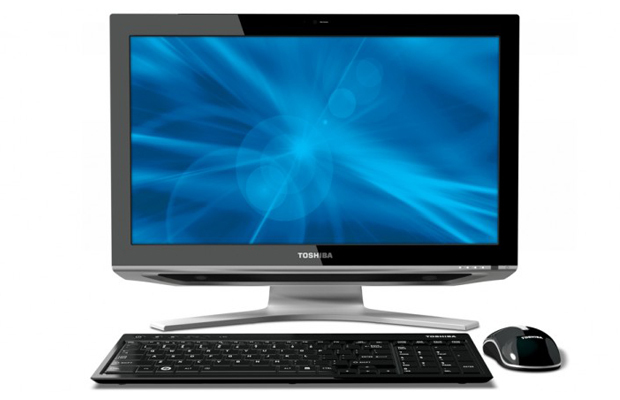 Graphic resolution is impressive at 1600 pix by 900, plus the AMD Fusion E-450 does a solid job with lightweight duties in the form of word processing, web browsing, and some minor gaming. Note: Don’t expect to Modern Warfare 3 on it. The price itself makes it a worthy, consumer-friendly AIO option.